TOTAL FLANKER...a rugby blog: Wasps - Crisis? What crisis? Wasps - Crisis? What crisis? What the hell is going on at Wasps? 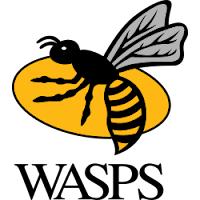 Of the starting XV that began the Premiership final against Exeter less than two years ago, there are six players - Christian Wade, Danny Cipriani, James Haskell, Matt Symons, Phil Swainston and Matt Mullan - who have left the club, plus another four from the bench - Marty Moore, Guy Thompson, Alapati Leiua and Frank Halai. Add to that the recent announcements that Willie Le Roux (probably to Japan), Nathan Hughes (to Bristol) and Jake Cooper-Woolley (to Sale) will definitely be leaving for pastures new at the end of this season, plus the heavily rumoured departure Elliot Daly to Sarries - and I really don't think that use of the word CRISIS is entirely overstating the issue. Is scrapping rugby tackle trial a backward step? Should Rugby be quite so brutal? Are England missing a trick? © 2007-2018 Total Flanker. Awesome Inc. theme. Powered by Blogger.